Library and Information Professionals) and the Welsh branch had a conference this week in a posh hotel in Cardiff. Huw Lewis who is Minister for Housing, Regeneration and Heritage was there and a few of my colleagues were talking at the event. The theme was leadership and I thoroughly enjoyed the day. It's really nice to speak to people who work in other libraries and it really made me think about where I want to be in a few years time. I thought I had better make a special effort for the occasion so I wore some colour (usually wear black to work) and dusted off my smart satchel ready for the conference. One of my all time fave blogging ladies Sarah gave me this wonderful dress when we met up for Ldn Lunch a couple of months ago. This dress along with some other gorgeous ones are all to big for Sarah now but fit me perfectly. Nobody tells you that weight loss is expensive, all my money is going on new clothes so Sarah's donations were very welcome. 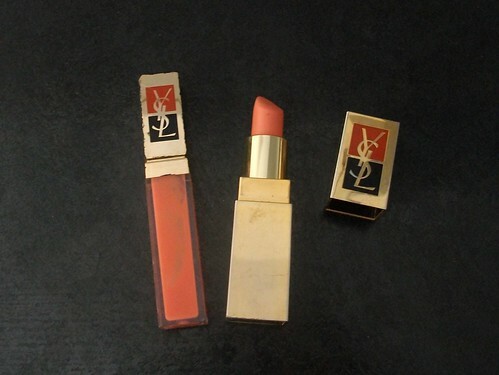 I don't usually go for matching make up, usually stick to pinks but I bought some orange YSL lipstick and matching gloss when I was in New Zealand a couple of years ago and I never wear it. 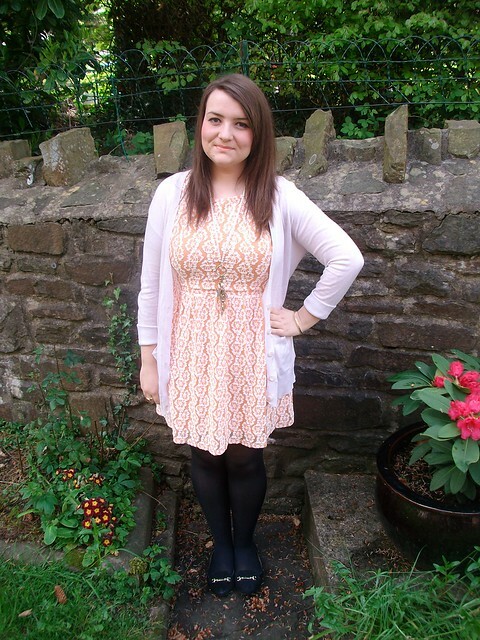 Wearing and orangey peach dress was a great excuse to dig it out. Going to try and wear this more often. I have about 30 lipsticks and I vow not to buy anymore until I have used one up. Do you get to go to any fun events with work? Can you guess where the title of the post is from? I'm off to see The Horrors tonight and I will be wearing all black which is my usual gig attire, can't wait! Wow you're looking sooo much slimmer, well done you! Lovely dress too. You look beautiful in that dress. Well done on losing weight. I would love to see a post on how you have achieved this. The dress looks so pretty :) The peach colour really suits you! You look great! Can't believe the Horrors are still on the go, I can remember when I was and indie kid and they first came out with all the uproar about how they looked! Enjoy the gig! Looking gorgeous Gem! I've really come round to orange colours now, so lovely for summer. 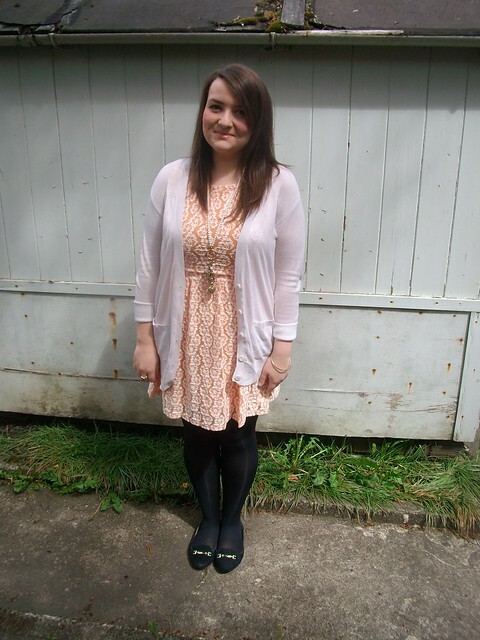 Love this outfit, the dress and cardigan go together so well! You look lovely! 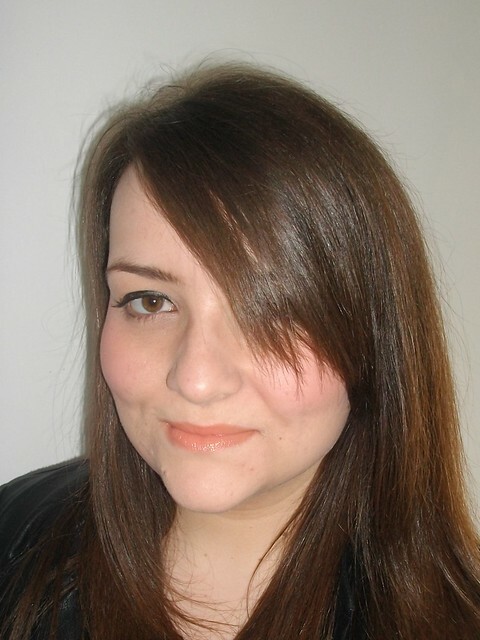 I LOVE that lipstick shade too, I want one in that colour! We do very little in the way of fun things at work, we have our away day next month and I have organised for the department to play cricket as our team building exercise in the afternoon. I'm stupidly excited for that part of the day!